New South Wales generates the highest greenhouse gas emissions of any Australian state due to its population and concentration of industry. Finding suitable CO2 reservoirs to store NSW emissions is an important part of emissions management. From a national perspective, if Australia is to embark on widespread commercial roll-out of carbon capture and storage, it is important to know which basins offer storage potential to enable a coordinated national plan that would link CO2 sources via pipeline to storage locations. 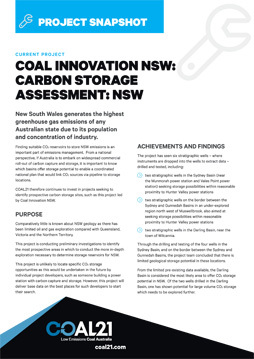 COAL21 therefore continues to invest in projects seeking to identify prospective carbon storage sites, such as this project led by Coal Innovation NSW. Comparatively little is known about NSW geology as there has been limited oil and gas exploration compared with Queensland, Victoria and the Northern Territory. This project is conducting preliminary investigations to identify the most prospective areas in which to conduct the more in-depth exploration necessary to determine storage reservoirs for NSW. This project is unlikely to locate specific CO2 storage opportunities as this would be undertaken in the future by individual project developers, such as someone building a power station with carbon capture and storage. However, this project will deliver base data on the best places for such developers to start their search. two stratigraphic wells in the Darling Basin, near the town of Wilcannia. Through the drilling and testing of the four wells in the Sydney Basin, and on the border between the Sydney and Gunnedah Basins, the project team concluded that there is limited geological storage potential in these locations. From the limited pre-existing data available, the Darling Basin is considered the most likely area to offer CO2 storage potential in NSW. Of the two wells drilled in the Darling Basin, one has shown potential for large volume CO2 storage which needs to be explored further. The project commenced in January 2009 with the drilling of four wells in the Sydney and Gunnedah Basins. This stage was completed in October 2012. The next stage of the project – the drilling and assessment of two wells in the Darling Basin – was conducted between January and December 2014. 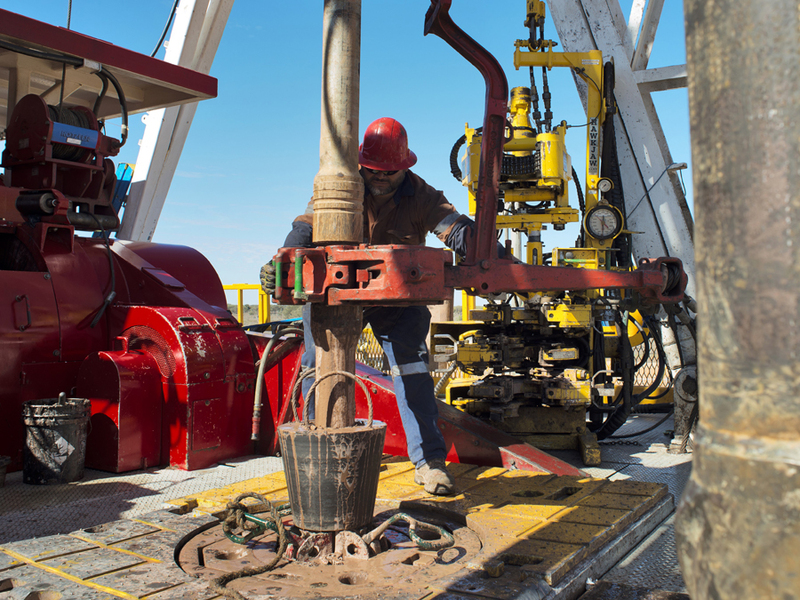 Funding is being sought for the drilling and testing of a further four wells near the well in the Darling Basin which has shown potential. Further drilling is necessary to confirm how far the favourable reservoir conditions extend horizontally. A single well gives firm data on a single point, and while inferences can be made from other testing such as seismic surveys, only further drilling can give significant confidence of a site’s suitability. The location is adjacent to an existing pipeline easement (Moomba to Sydney gas pipeline) which is a major advantage when planning pipeline routes. The location has no resource conflicts (oil and gas, potable water) which avoids legal issues with overlapping exploration and production leases. These attributes, combined with a supportive local community, make this an attractive carbon storage option provided the storage potential can be confirmed. COAL21 will make a financial contribution to the next stage of the project, subject to the project proceeding as proposed.